Dillon is a true “Renaissance Man” and brings to Adlington Eye Center the unique ability to blend his expertise in graphical arts design and business management science into a cohesive force which works extremely well at Adlington Eye Center. In addition to assisting with the many forms of first class graphical and artistic design within the office, Dillon’s perpetual smile, coupled with his innate ability to listen to and understand patient’s needs and concerns, have proven to be very valuable assets. Patty is a marvel of efficiency and organization. 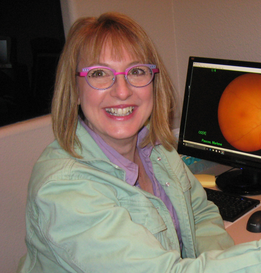 Her years of experience in both the optical and the optometric technician fields maximize her effectiveness and ability to lead and manage the staff and operation of Adlington Eye Center. Her unique ability to get along well with everyone enables her to run the office like a “Swiss Watch”, while making it pleasant and fun for everyone working with her. 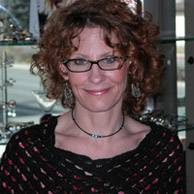 With extensive experience in all facets of the optical business, Kathy is exceptionally talented in choosing the perfect eye wear for her clients. She also possesses that “magic” touch in adjusting high-end eye wear to produce the best fit possible. Her enthusiasm and energy create a refreshingly positive environment, one which insures that your eye wear experience in our offices greatly exceeds your expectations. Kathy is also a talented artist and her original crystal necklaces and bracelets are in incredible demand and are proudly displayed at Adlington Eye Center. Sayde has been a great addition to our family here at Adlington Eye Center. 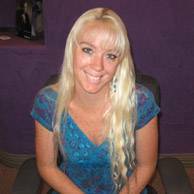 She welcomes customers with a smiling face and an outgoing attitude. She gives her all to ensure that every customer is satisfied and leaves knowing that they were given great service. She loves her job, and it definitely shows! 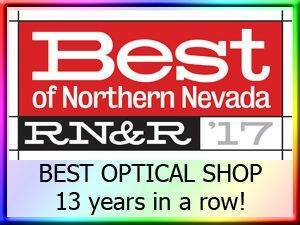 She has an excellent sense of style and is great at helping you select the best looking eyewear, and is well versed in all aspects of the office. 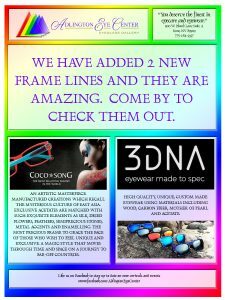 Christopher is eager to assist you with your eyewear selection. 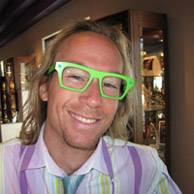 His passion for optics and physics affords him the ability to design the perfect lenses for the frame you choose. He is an expert at adjusting frames and is always seeking to learn more, to better serve you. 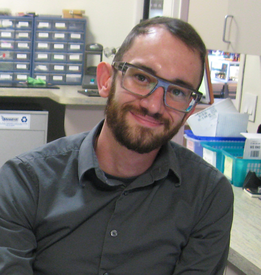 Christopher is pursuing his degree as an optician through his apprenticeship at Adlington Eye Center. In his spare time he is an artist and a local musician. Marlene has been with Adlington Eye Center over a year. She loves being a part of the team and provides caring attention to her patients as she prepares them to see the doctor. 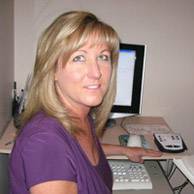 She thrives on helping her patients and addressing their concerns. She will assist you with your contact lens prescriptions and ordering and offers a personality that shines throughout the office.